Kevin is currently installing the conduit that goes before the concrete port on each floor at Riverside Drive, a 100% union-built property located along the Hudson River on the Upper West Side of Manhattan. He and his team of electricians are always on the highest floor of the building; they install the pipe in place so the wires can be installed at a later date. 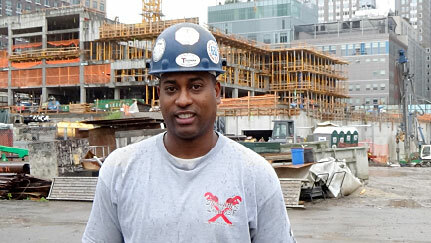 Kevin is very proud to go to work each day and be able to see the inner workings of a building as it is being constructed, and how a job of this magnitude gets completed properly and safely.